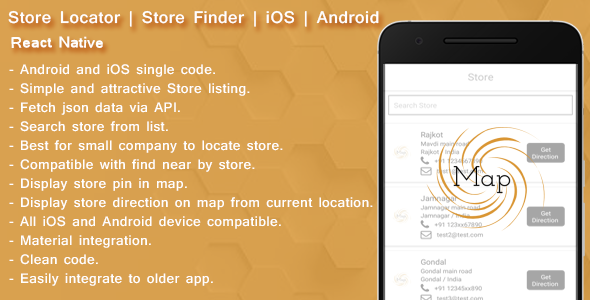 This is a React native app which basic functionality is to Locate store on map. This application uses device current location to find near by store. This application is best for small/big company for display self store on google map. The best advantage is this is React native app so you can install it in android and iOS device easily. App includes Bottom menu which is compatible in landscape and portrait mode.